Anyone who has ever tried to self-diagnose a medical condition using the internet has discovered how many conditions show the same symptoms. 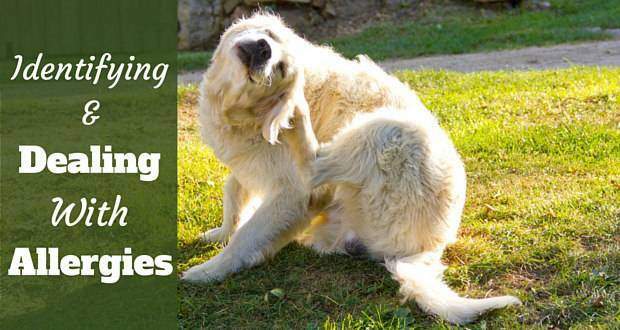 Figuring out why your dog is scratching incessantly can be just as frustrating. Is it dry skin? Is it fleas? Or is it a sign that your Golden has developed an allergy to something? 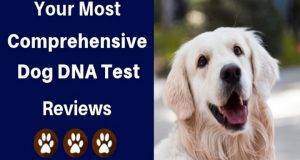 Some studies suggest that Golden Retrievers are more allergy-prone than other breeds. In this article, I’ll look at how you can determine if yours has an allergy, and look at ways to deal with it. 2 What Are Dogs Allergic To? 3 How Do I Know If It’s An Allergy? 7 Can Allergies Be Prevented? Many indicators of allergies in dogs are non-specific; you won’t know just by looking if there’s an allergy present or not. But if enough signs are present, you should start investigating. Of course scratching is the most obvious sign of an allergy. Dogs scratch for many reasons, but vigorous scratching at the same area repeatedly may indicate there’s a problem. If the area your Golden is scratching at appears red, or scabbed, that’s another sign there’s a problem. You may also notice secondary infections caused by bacteria or yeast resulting in scabs or hair loss. By and large, dogs may be allergic to many of the same things humans are. Dust and mold are common household allergies for dogs and their owners alike. Cigarette smoke can also be a trigger. Many of the products we bring into our homes may trigger reactions in dogs. Examples include perfumes, cleaning products, and some fabrics. Naturally occurring allergens like feathers, dander, and pollen may also be at the root of allergic reactions. Even the products we buy to help our pooches stay healthy, such as shampoo and flea products can be triggers. And of course there’s food. Many dogs are allergic to either the protein or grains commonly found in many dog foods. How Do I Know If It’s An Allergy? 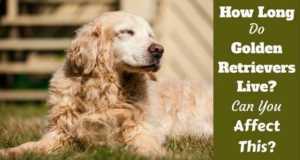 As with all perplexing medical issues your Golden may develop, if you suspect an allergy, you should have a visit with your vet. By going over the details of your dog’s environment and diet, and after reviewing all the symptoms, your vet might be able to make an educated guess about the cause. If an allergy is suspected, but the trigger isn’t readily apparent, testing is the only way to be certain. A blood test or a skin test can be performed, with the latter being more reliable. 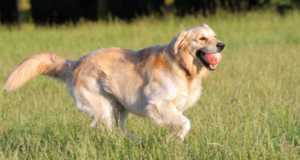 For a skin test, a portion of your Golden’s coat will be shaved and a variety of allergens are injected under the skin. Anything that reacts is something the dog is allergic to. Unless your dog is incredibly tolerant, this procedure will require sedation. While conclusive, allergy tests can be very expensive. Expect to pay $300 or more for the entire procedure. If your vet concocts a vaccine for your dog that price rise significantly. While we all want to do everything we can to keep our beloved dogs healthy and happy, you’re not a bad owner just because you balk at the cost of a procedure! Before you rush right in and hand over your credit card, you might try looking at other ways of determining the source. By removing possible triggers from your Golden’s environment, you may be able to figure out what the problem is by process of elimination. Go after one possibility at a time to make your findings more conclusive. Perhaps you suspect that environmental allergies are the problem? If you live somewhere where winter is significantly colder than the rest of the year, you may have noticed allergic reactions are lessened or not present at all during those months? Try to eliminate triggers like dust, mold and pollen by doing a thorough cleaning of your home, paying particular attention to places your dog likes to play and sleep. Wash dog beds and any blankets and rugs they might favor. Keep it up for a few weeks and see if you notice a difference in your dog’s condition. You might also try switching up any shampoos, sprays, or other cleaning products you use on your dog. Changing your household cleaners might also make the difference. It might be a long process of trial and error before you find the cause or causes of your dog’s reactions, but it will be worth it in the end. Food is a very common source of allergies in dogs. 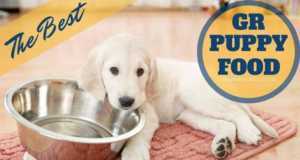 And between your dog’s regular food, treats, flavored medications, and table scraps (either accidental or intentional! ), it can be very hard to find the cause. Again, following the process-of-elimination method, if you’re not certain what’s triggering the reaction, you can remove the contenders one by one until you’re certain. The easiest thing to do is simply change your Golden’s food. Try switching to an alternate source of protein; trade poultry for beef, or lamb for fish, for example. Also, look for formulations that contain as few ingredients as possible. Stick with the new diet for up to 12 weeks, and eliminate any treats or human food during that time. If things improve, well you still haven’t necessarily identified exactly what the allergen was, but at least you’ve removed it from the equation. Reintroduce treats one kind at a time, watching for any new reactions as you do. A more thorough version of this process involves putting your dog on a very strict prescription diet using hydrolyzed proteins. This diet eliminates nearly every possible allergen. After 12 weeks of this, your Golden should be symptom free, and you can begin to reintroduce foods one at a time, always monitoring for allergic reactions. Exotic protein foods are often turned to when food allergies are suspected. The idea is that a dog is less likely to be allergic to something they have never been exposed to. Examples of exotic (or novel) proteins are quail, ostrich, bison, and even kangaroo. Try switching protein families, too – if your dog ate chicken before, don’t switch to another type of fowl, for example. 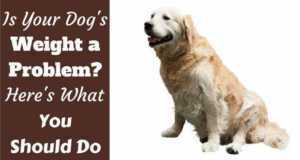 As I said, this will not be a quick and easy process, and while you’re trying your best to figure out what’s causing your dog’s distress, your Golden is still suffering to some degree. Excessive scratching can lead, as previously mentioned, to secondary issues like infection. As if the allergy wasn’t enough to contend with! There are things you can do to alleviate the symptoms and make your friend as comfortable as possible. Medications are available to help, including allergy shots, hydrocortisone creams, and antihistamines. Benadryl can be quite effective in relieving itch (and helping an itchy dog sleep! ), but shouldn’t be administered without first consulting your vet. Washing your dog with a gentle shampoo and conditioner might help alleviate itchy skin (look for natural products where possible. ), as can cool baths. Avoid hair dryers, however, as the heat will aggravate the skin further. There is little or nothing you, as an owner can do to prevent allergies. Some argue that a raw food diet, or increased intake of beneficial intestinal bacteria can prevent allergies, but the jury is still out. And that won’t help prevent the development of allergies to environmental or chemical substances. 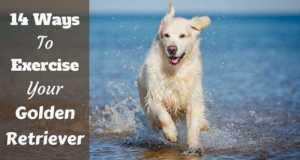 So take heart in knowing you’ve done nothing wrong, even if your Golden suddenly develops an allergy later in life. It just happens. With patience and time, you can find the solution and stop the itch. I have a 7 year old golden with allergies to chicken,beef,turkey,flea saliva, eggs &harsh cleaning products.I make his dog food from salmon, frozen &fresh vegetables &pasta with squash&sweet potato puree.He gets two Tums each morning for calcium&fresh fruits or carrots as treats.I use a topical flea repellent on him year round.Making my own cleaning products from Apple cider vinegar,baking soda &Dawn dishwashing liquid seems to be easier on him too.My vet says he’s in great shape &he acts like a puppy still. If this works for him maybe it would help other people trying to make their pup healthier too. Thank you for your contribution, Twila. I’m glad you managed to get your Golden’s allergies under control, sounds like you’ve really worked at it! My golden scratched constantly &had a rash.Itchy paws is a sign of allergies too.Try doing the things I am as it really made a huge difference in his quality of life. 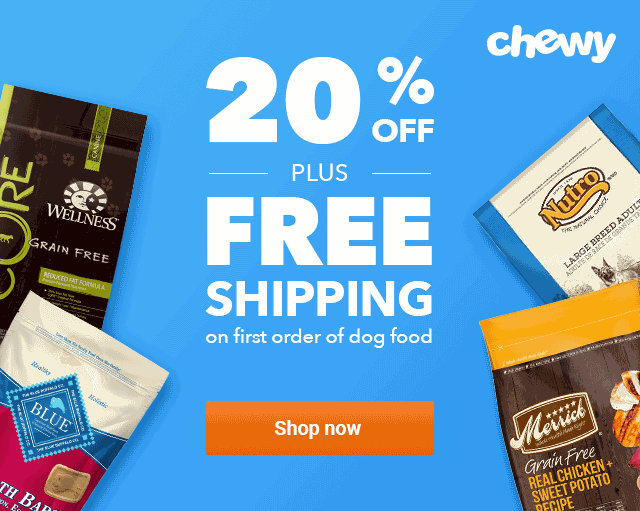 Does anyone have recommendations for books available on making your dog’s food at home? I have an rescue golden that is approximately 10 years old. He has allergies for so many things… grain, chicken, turkey, lamb, beef, venison, duck and white potatoes. He is currently eating vet food (Royal Canin) hydrolyzed (?). Twila Heckler – you have had great success and I wondered where you found out where to start, supplements needed with the whole food, etc.? Or anyone else that has had successes with making your own food. Thank you in advance for any help you are able to offer. I know you posted a couple months ago but I just read your post. A great book is called Dr. Becker’s Real Food for healthy dogs and cats. It is very helpful in making your own dog food and provides information for the additional supplements that are required. Hi I have a 6 yr old male golden and for the last 3+ yrs he has had non-stop hot spots, dry flaky skin, lost weight and constant licking of his paws not to mention his overly sensitive stomach. We use trifexis for fleas and use a coconut water based all natural shampoo for bathing. He was on a chicken and brown rice food but I decided to do some research and Golden’s are notorious for being allergic to beef, chicken, grains and eggs. So I found Merrick Salmon and sweet potato switched him cold turkey and he not only didnt have any reaction to it he loves it. He has been on it for 6 months now and no paw chewing, flakes or hot spots. He is starting to fill out and his coat is super shiny and soft. And it didn’t cost me $$$$$ for allergy tests. Food elimination is the best place to start.